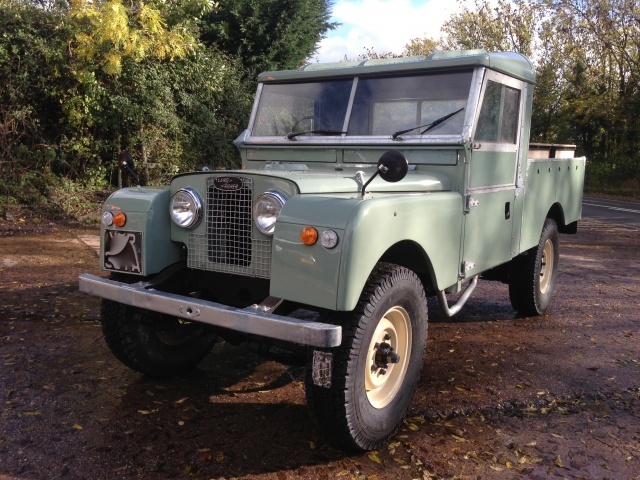 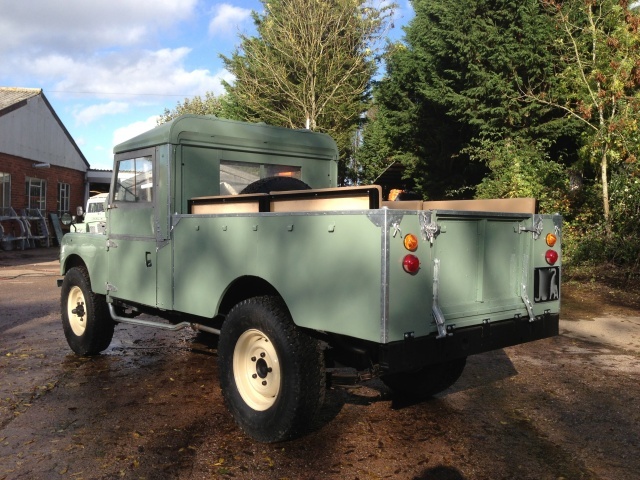 This is a 1957 Series 1 LWB truck cab model that had been not been used for many years and the customer asked us to make it a usable classic that would also be used off road for his hobby purposes. 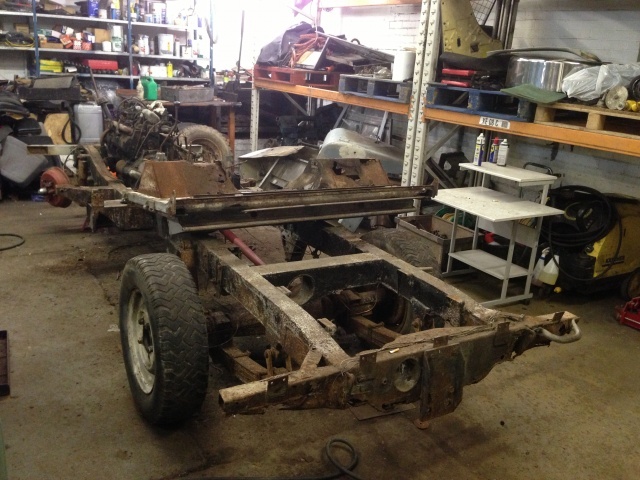 We stripped it down to inspect the chassis and we were able to repair it by cutting out the rot and welding in new metal. 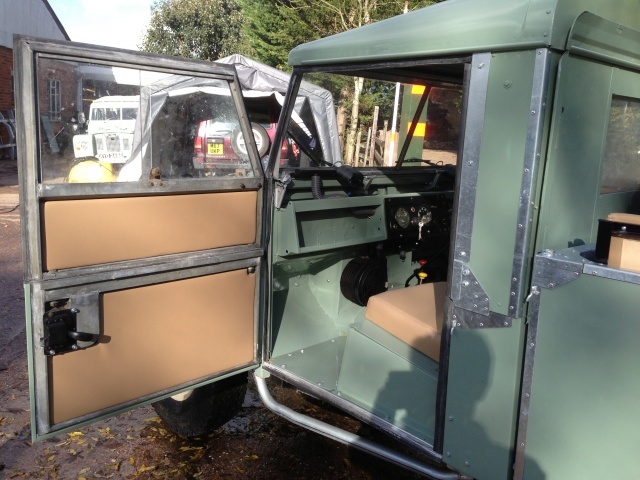 Similarly the bulkhead was overhauled and made solid. 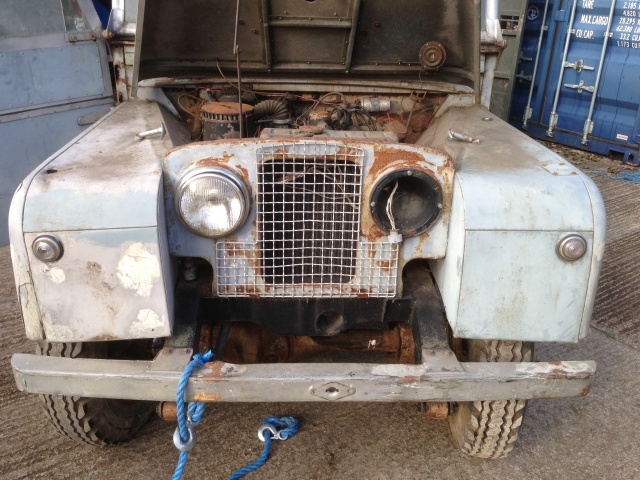 The engine and gearbox were checked and repaired as necessary. 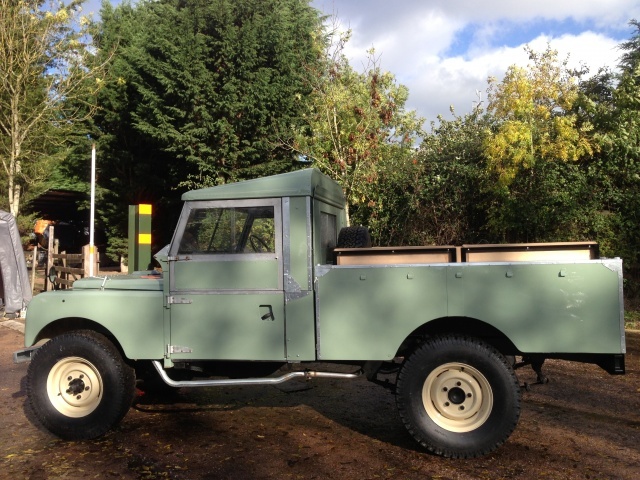 The braking system was renewed as was the wiring. 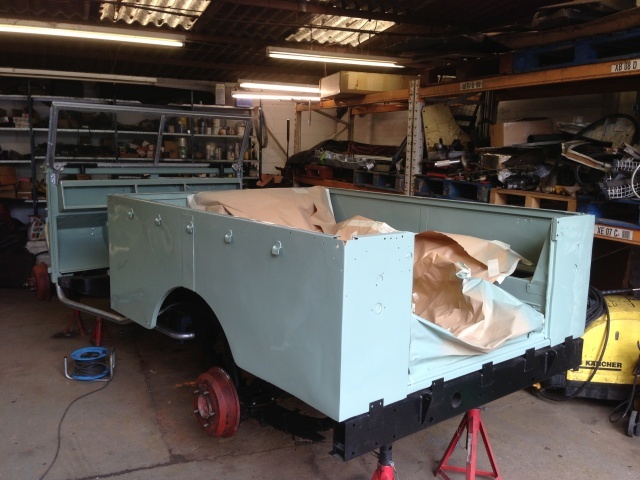 Bodywork was re-sprayed in light green and body cappings re-galvanised. 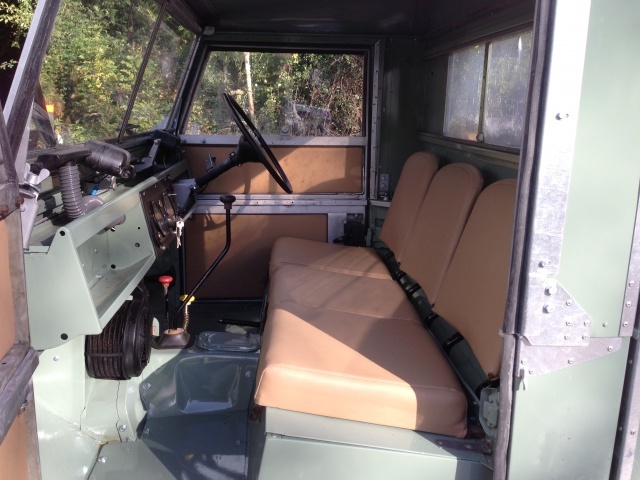 The seats were refurbished in tan leather.